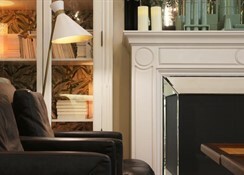 We invite you to discover the new chic area of Barcelona with its own character, by staying at the Hotel Ofelias; all the services that are offered have its clients’ needs in mind, offering maximum comfort following the Slow philosophy; live and journey without any hurry, enjoy every moment and every detail. Convert your stay into an experience. There are ecological and “Ayurveda” breakfasts, using fresh products and based on the antique medical traditions of India. There is a solarium and swimming pool, found on the top floor of the building, a perfect place to start the day or relax in the afternoon. 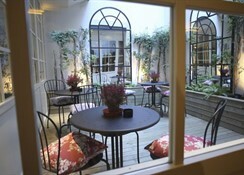 The Chill Out Terrace is ideal for a chat or a quit drink or a glass of fresh fruit juice. Other services : rent a bicycle, restaurant reservations, personal shopper, entrances to museums or sports events, baby sitting service , 24hour reception service, free newspaper , there is an internet corner and free WIFI connection throughout the Hotel. Bar service is available. There are delicatessen products and minibar for free at suites. 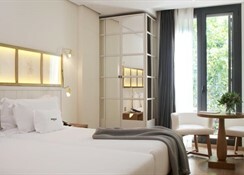 The Hotel is located in Barcelona near the Plaza de España, opposite the Las Arenas commercial centre and near to the main entrance of the “Fira de Barcelona” and the “Parque de Montjuic”. 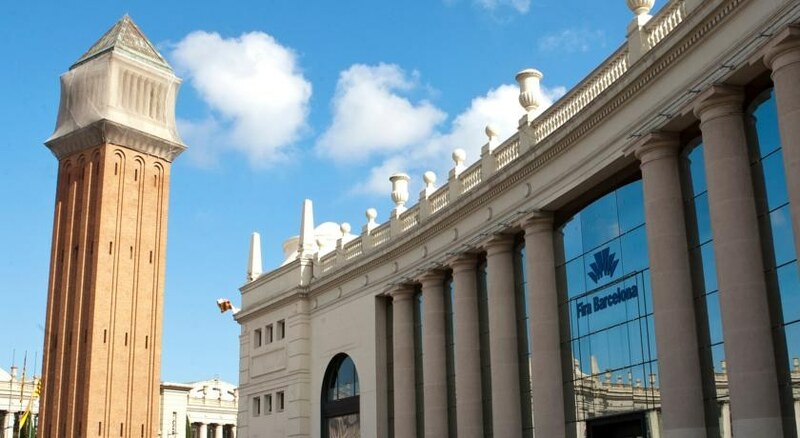 The theatre – Theatre Grec, Mercat de les Flors and the foundation – Fundacio Joan Miro are all within walking distance. All rooms have a design bathroom equipped with a shower with rain effect and hair dryer, mini bar, writing desk, safety deposit box large enough to hold a laptop, satellite TV, CD, DVD and free WIFI connection, floors are of parquet. Standard Design rooms with terrace: solarium terrace, sun beds, sunshades design exterior furniture. 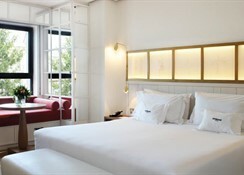 Junior Suites: VIP services, lounge area, bathrobes and slippers, mini bar, mini bar with delicatessen products, DVD-CD player, a la carte pillows and on request, subject to availability there are rooms with balcony. Rooms can sleep up to 3 persons; there are 2 rooms with communicating door and a room adapted for persons with reduced mobility available.